The stranglehold of the big banks and AMP over the nation’s financial advice market is finally to meet a substantial challenger, with professional body CPA Australia taking the novel step of busting into the financial services business. 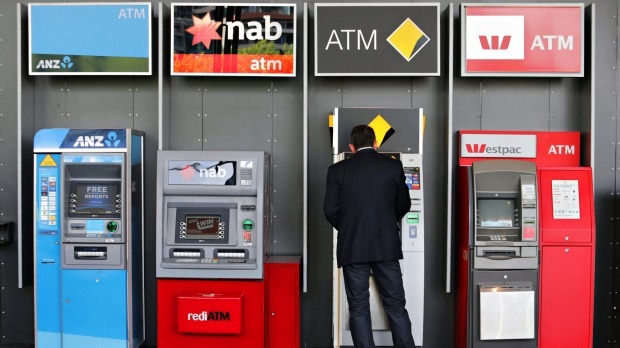 The spate of financial advice scandals, which kicked off three years ago with a Fairfax Media expose of the “boiler room” culture at the Commonwealth Bank, has laid fertile soil for a sector shake-up. This does not mean the professional body will suddenly unleash its 150,000 members in a full frontal assault on the oligopoly of the banks. It does mean, however, that, over time, its members will enter the market, delivering independent advice, as opposed to the bank practice of flogging in-house financial products and stinging customers with hidden fees. CPA chief Alex Malley confirmed yesterday the Australian Securities & Investments Commission (ASIC) has granted an Australian Financial Services (AFS) licence and an Australian Credit Licence (ACL) to its wholly-owned subsidiary, CPA Australia Advice Pty Ltd.
Malley will head up the advisory company and continue in his role running the CPA. Malley told Fairfax Media the CPA business model would be focused on transparent advice. “No hidden incentives, no commissions and no asset-based fees. Just pure and transparent advice on a fee-for-service basis,” he said. The market has become increasingly dominated by the banks and AMP in recent years, which have pursued a vertically-integrated model. Dealer groups of financial advisers are typically linked to one of these big five players and are lured by the incentive to sell bank products and get commission, therefore ensuring fees to other parts of the bank. This conflict – between the duty to service customers with the best product and the pressure to sell high-fee bank products – has meant millions of Australians are charged too much to have their savings managed. Further, fees are mostly based on asset prices and as asset prices rise over time, fees naturally rise too. Industry complacency, and indeed widespread customer complacency, has meant there has been little effort by the main players to shut down their high-fee funds and not enough switching by customers from poorly performing investment managers to better ones. A study last year found an average 30-year-old could expect to lose one quarter of his or her retirement savings in fees if he or she had the misfortune to be invested in a high-fee super fund. The annual Stockspot survey of fund performance has found for two years in a row ANZ and its investment platform OnePath had the greatest number of “Fat Cat” funds – that is investment funds whose returns were seriously eroded by excessive fees. And while ANZ accounted for 277 of these 701 Fat Cat funds, CBA/Colonial was second with 67, then AMP/AXA 64, Westpac/BT 60 and NAB/MLC with 39. Generally, funds which were not linked to the five major players performed better than bank-run retail funds, as did industry funds. The difference in performance was mostly linked to the magnitude of fees rather than the performance of underlying investments. Besides exploiting the increasing public awareness of the banks’ “conflicted” fee structures, Malley and the CPA aim to capitalise on the fact that its professional members are certified practising accountants whose education and ability in financial analysis may in many cases be superior to financial planners (who are not required to have a university degree). There are, of course, many dedicated and professional financial advisers aligned to the banks and AMP but there is little way for the sector to answer to what is an inherent conflict in putting client savings in in-house investment products. Ironically, as Malley told his members recently, the banks have offered to “help out”. “Representations made to me by senior bankers regarding CPA Australia Advice Pty Ltd’s entry into the financial services sector have been both fascinating and confused,” says Malley. Mr Malley said these “mixed reactions”, combined with past allegations that some banks’ acted improperly when giving wealth advice to customers “hardens our resolve to act in the public interest and formally enter the sector on July 1”. The CPA move has the potential not only to disrupt the financial planning industry but the accountancy profession too, lending an entirely new professional opportunity to accountants emerging from the university system.